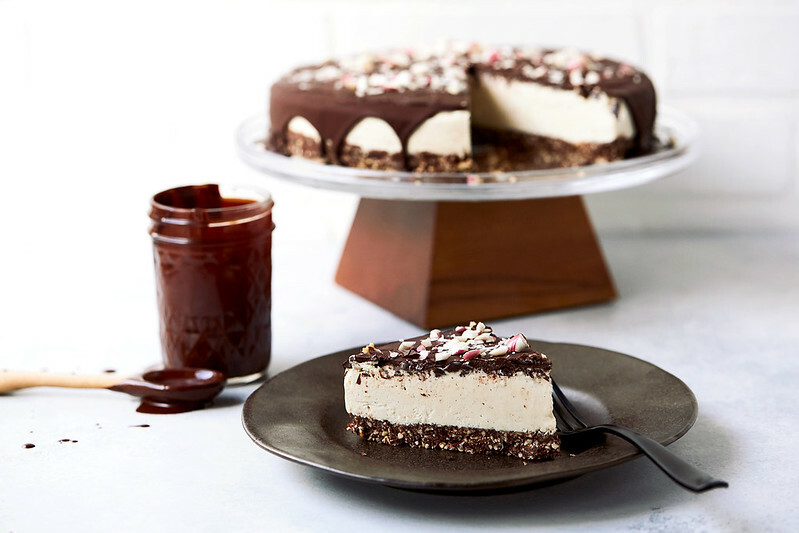 This Dark Chocolate Peppermint Vegan Cheesecake is a holiday dream! 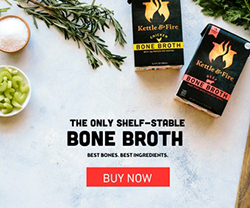 Beside being naturally vegan, it’s gluten-free and grain-free, paleo-friendly, yet still epic enough to please the masses. 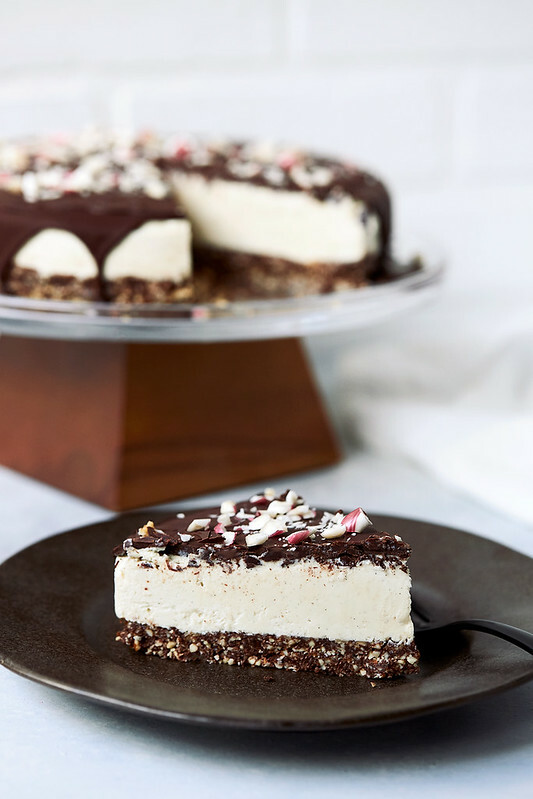 Coated with a layer of peppermint-infused dark chocolate to bring the holiday vibes, this creamy, rich, decadent treat will be a show stopper at any holiday gathering. 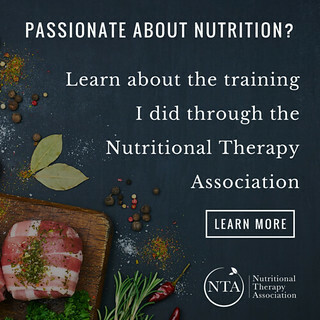 Right, so I am not vegan and nor is this website, but as I prefer to limit / avoid cow’s milk dairy as much as I can, over these many years I have developed a plethora of naturally (read also: inadvertently) vegan recipes, in the process. 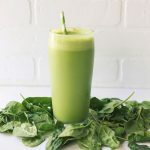 Beyond that, I know that so many of you struggle with dairy allergies, lactose or casein intolerances or maybe like me, just prefer to avoid most dairy so as not to send your autoimmune disease or digestion into a massive tailspin. 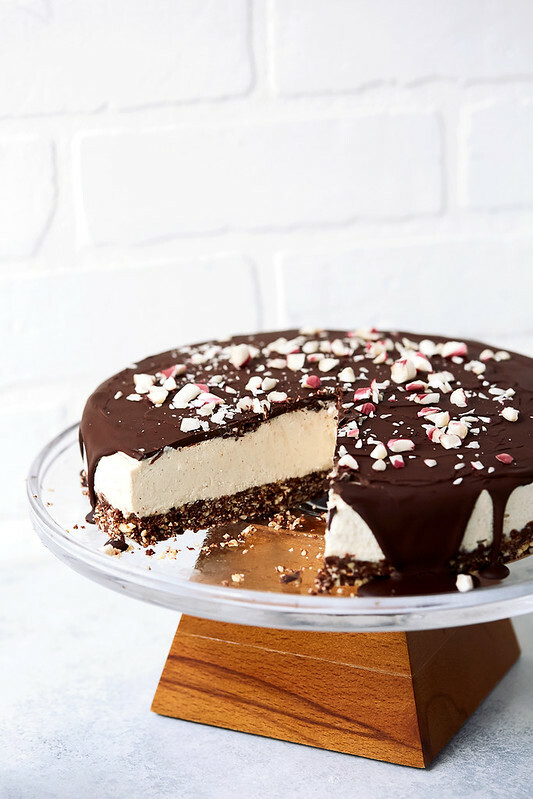 One of my most favorite dairy alternative dessert recipes my No-Bake Vegan Cheesecake was created nearly 5 years ago now and there have been many, many varying iterations of it here on Tasty Yummies, since. From Pumpkin to a Mint Chocolate Chip to these little cereal crusted cuties, among others. This particular holiday-inspired rendition, got a little update. 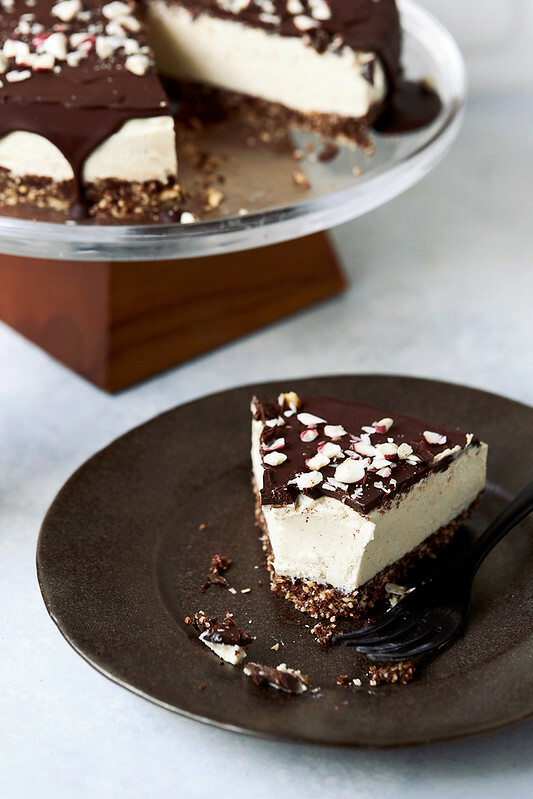 To really punch up the tangy bite present in so many traditional dairy-based cheesecakes, the filling on this one features a little plain, dairy-free Silk Almondmilk Yogurt Alternative. 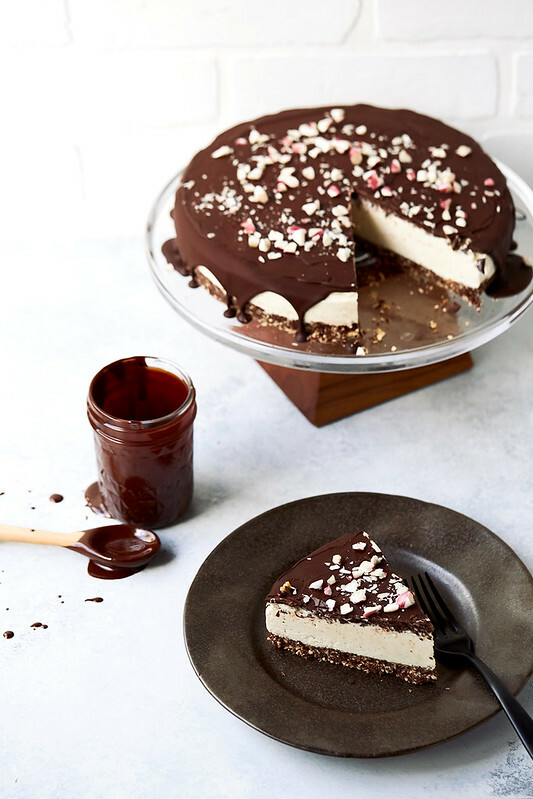 The raw nut-based crust gets cacao added and the whole thing is topped with a peppermint infused chocolate coating and a little sprinkle of candy cane dust. Because that’s just how Santa would want it. 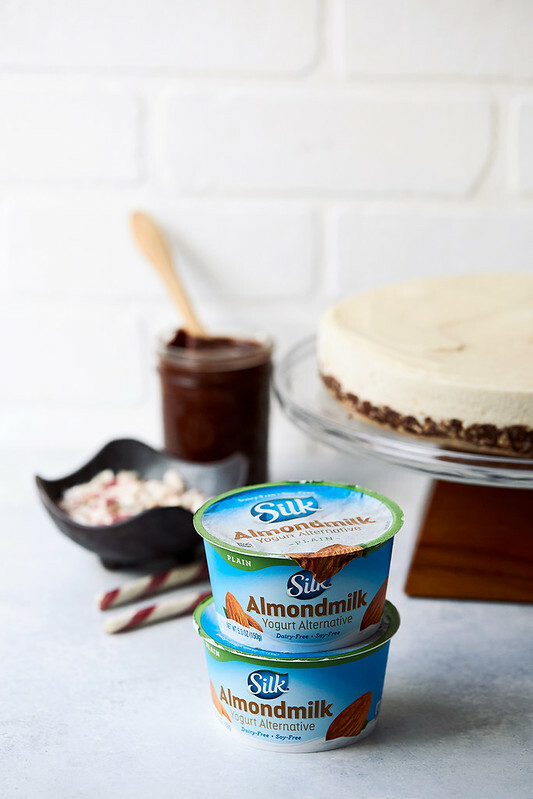 Silk Almondmilk Yogurt Alternative is creamy, smooth and rich, it’s dairy and soy-free, there’s no artificial flavors or colors and it’s verified by the Non-GMO Project. 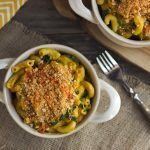 It has a subtle nutty flavor that I find pairs so well in recipes, like this particular one. 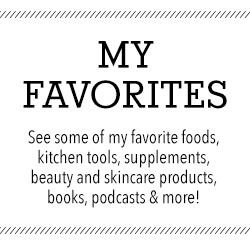 Use Silk’s store locator to find their Almond Dairy Free Yogurt Alternative in your area. 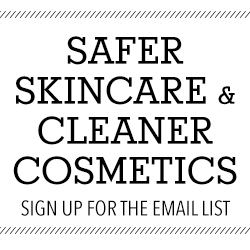 And be sure to visit Silk’s website for a coupon! This recipe requires no baking and very little work. Just soak your cashews ahead of time and the rest is a breeze. The crust requires but a few mere moments in the food processor, and it gets pressed into your springform pan, no baking necessary. The rich, creamy, cashew based cheesecake filling is made all at once in your high speed blender (like a Vitamix) or food processor. The filling gets poured onto the crust and then it’s frozen to set up. 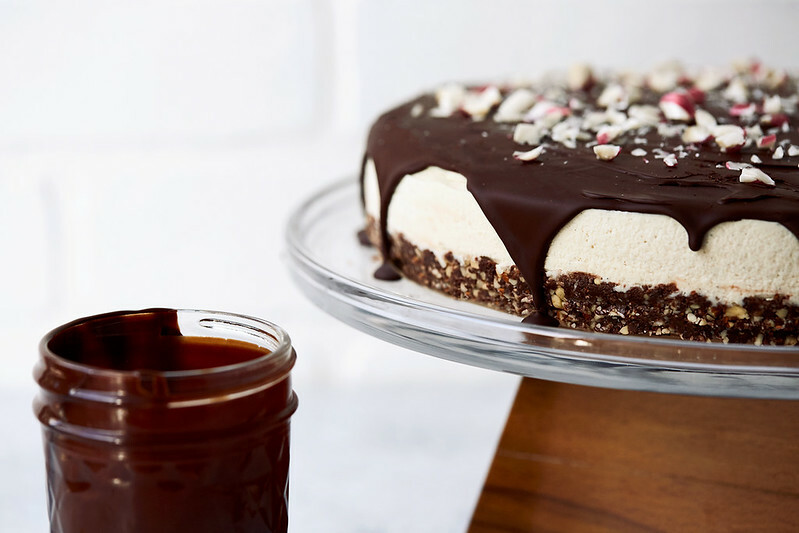 Just before serving, melt the chocolate with the peppermint extract and a little coconut oil before you pour overtop the cheesecake. It will begin to harden quickly and create a chocolate shell, of sorts. Top with a little sprinkle of crushed candy canes and you’ve got yourself a holiday showstopper! **DO AHEAD** Soak the cashews overnight the night before you are making this. Line the bottom of a round 9″ springform pan with parchment paper; set aside. 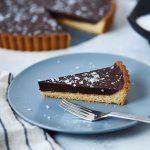 Make the Crust: In a food processor fitted with the S blade, process the nuts, coconut, dates, cacao, coconut oil and sea salt until you have a coarse sand-like consistency, leaving some bits of the nuts make for a nice texture. 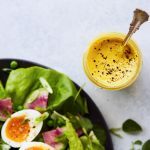 Press mixture into the prepared springform pan, using your hands or the bottom of a cup, glass or measuring cup, to press down firmly then cover with plastic or foil and freeze until ready to use. Make the Cheesecake Filling: After the cashews have soaked, discard the soaking water, give them a quick rinse and add all of the cheesecake filling ingredients to the container of a high speed blender or food processor. Process or blend on high for several minutes, until super creamy. Once blended, pour the cheesecake filling over the crust, tap the pan on the counter several times to eliminate any air bubbles. Freeze the cheesecake until solid, for at least 4 hours before serving, preferably overnight. When ready to serve, remove the pan from the freezer, immediately releasing the springform pan to prevent sticking. Place on a cake stand or serving platter and allow the tart to thaw for 15 to 30 minutes. 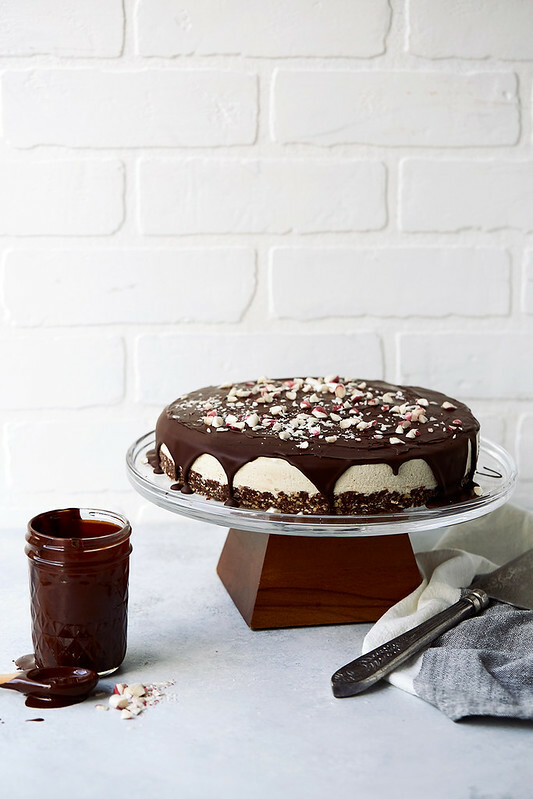 Chocolate Topping: While the cheesecake is thawing, melt your dark chocolate, over a double boiler or in short increments in the microwave, whisking in the coconut oil and peppermint extract. Whisk until well combined. 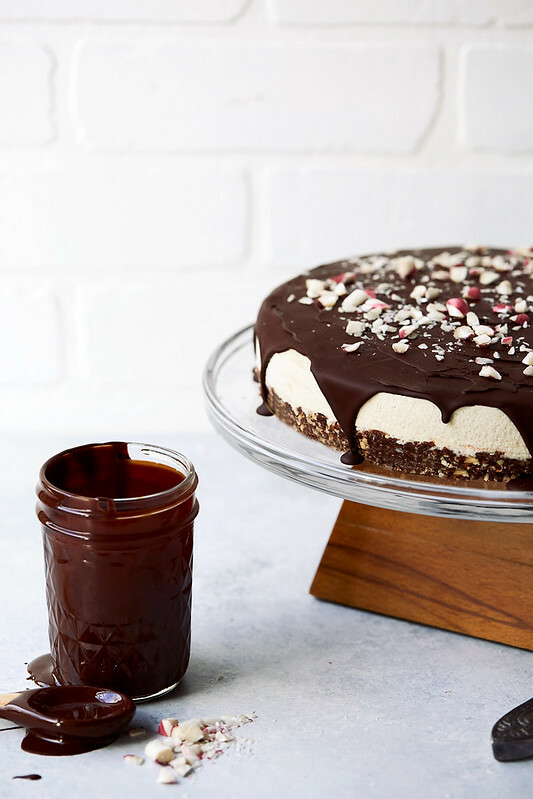 Pour the melted chocolate over top the cheesecake and using a spatula, knife or offset spatula, spread it around, quickly before it hardens, allowing a little to drizzle over the edges. Sprinkle crushed candy canes or peppermint candies on top, if you'd like. Cut and serve. Store in the refrigerator or freezer. For the crust, if you can't do almonds, you can also use pecans, walnuts, macadamias and many other nuts, or a combination of your faves. This looks fabulous! Can you substitute another nut for the cashews? I eat lectin free whenever I can, and cashews are high in lectins. Thanks!! 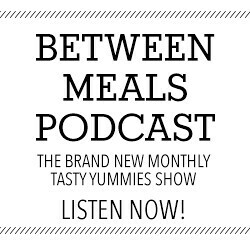 Macadamias, almonds (without the skins) and pine nuts are supposed to work particularly well. I haven’t yet tried this but my bet is that due to the higher fat content and creaminess of macadamias, they would be a great option. I was unable to find any almond milk yogurt. 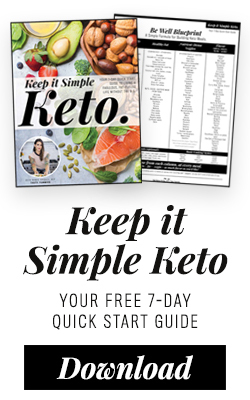 Can I omit or use greek yogurt?